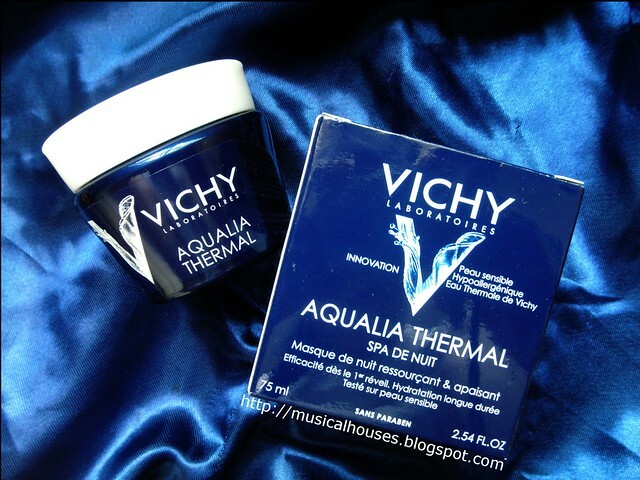 Vichy's Aqualia Thermal Night Spa Sleeping Mask is the latest product launch from the brand under its Aqualia Thermal range, which is meant to hydrate the skin. Vichy has marketed this as "the most-loved sleeping mask in Hong Kong, China, Taiwan and Singapore" on their website, and it seems to have gotten various accolades from local and regional beauty publications already. I've previously reviewed the Dynamic Hydration Serum and Rich Cream and liked the two products - in fact, the Rich Cream is part of my current daily arsenal as my go-to moisturizer, and I'm probably nearly half-done with it. So naturally, I was excited to take a look at the Sleeping Mask! According to Vichy's website, you're supposed to apply a thick layer into your face, let it sink in for 10-15 minutes, and then either massage in the excess or tissue it off. I will be the first to admit I'm super lazy and am horrible at adhering to these types of routines - I just apply generously, but not so much that there is excess, and then go to bed. And of course, what better place to start the review than the ingredients list? Fortunately, the Vichy Night Spa doesn't have a very long ingredients list, so if you're worried, this won't take long! The main ingredients in the Aqualia Thermal Sleeping Mask are water, Glycerin (a humectant), Dimethicone (a silicone and slip agent that also has emollient properties), Caprylic/Capric Triglyceride (an emollient), Squalene (an emollient with some anti-oxidant benefits), and Ammonium Polyacryldimethyltauramide (a thickener and emulsifier). After this, we hit the colourants (CI 42090, CI 42053) and fragrance ingredients, which are typically used in low concentrations in a product, so after those ingredients, the rest of the ingredients are there in pretty small amounts. The rest of the minor ingredients, in addition to colourants and fragrance, include other functional ingredients like preservatives (Phenoxyethanol), pH adjusters (Citric Acid), and thickeners (Biosaccharide Gum-1, Xanthan Gum) and other emulsifiers (Poloxamer 338) and the like, as well as some other ingredients with skincare benefits (Sodium Hyaluronate, Caprylyl Glycol). So, as a sleeping mask, or as a general moisturizer, this is a very well-formulated product, if a tad basic, covering all the bases a moisturizing product should - humectants to draw water into the skin, and emollients to prevent further water loss from the skin. But what I felt really made this product special to me despite its deceptively simple formulation, was how it avoided all the common pitfalls I've seen in other sleeping masks. Some sleeping masks tend to have plant-based extracts that can irritate the skin, some tend to have ingredients that are a bit clogging, while some other sleeping masks I've seen have high amounts of alcohol. 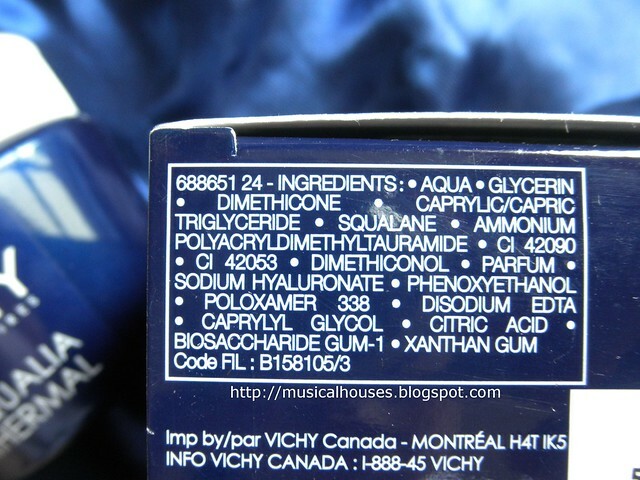 So in that sense, the Vichy Sleeping Mask is probably a really good bet for dry or sensitive skin - the ingredients may be simple, but there isn't anything that is drying or sensitizing to the skin. Unless you skin reacts to the scent in the product, I'd say that this is unlikely to trigger any skin reactions. 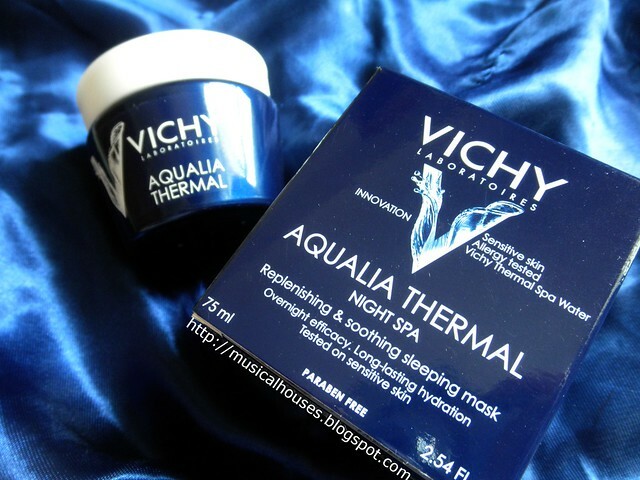 The Vichy Aqualia Thermal Night Spa Sleeping Mask is a light blue gel that has a floral scent that dissipates upon use. The texture is light, but hydrating, and absorbs fast and sinks into the skin, leaving behind a slightly emollient feel to the skin, but no residue otherwise. Since this is marketed as a sleeping mask, the light feel is a plus, because it doesn't feel like it would stick to your pillowcases or get on your bedsheets, so I felt comfortable wearing this to sleep without worrying about dirtying my sheets. It did hydrate my skin and leave it feeling softer after a night's use, and it did so without clogging my skin or causing any skin reactions, which was important to my acne-prone skin. While I don't think I have the most sensitive skin out there, the fact that I'm nearing 30 (gasp!) and still battling acne means that I generally tend to steer clear of anything irritating that might trigger my acne, and the fact that I couldn't find anything to complain about with respect to the Sleeping Mask is probably a good sign that it will be gentle enough for most people, too. 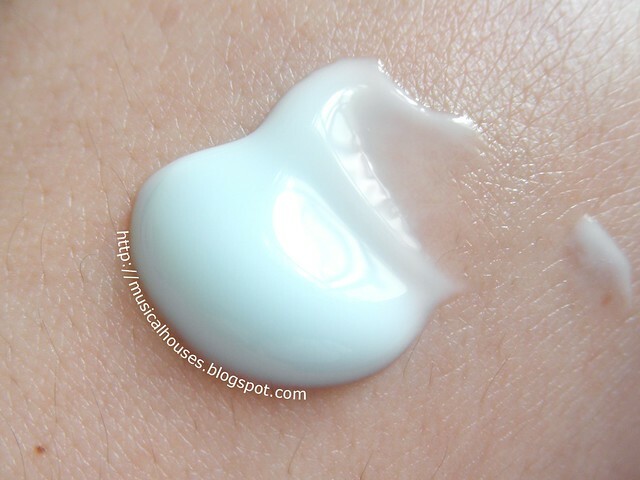 I also found that this worked well as a day or night moisturizer - it may be marketed as a sleeping mask, but it also serves all the functions that a moisturizer does, since its combination of humectants and emollients make for a good basic day or night moistuizer. 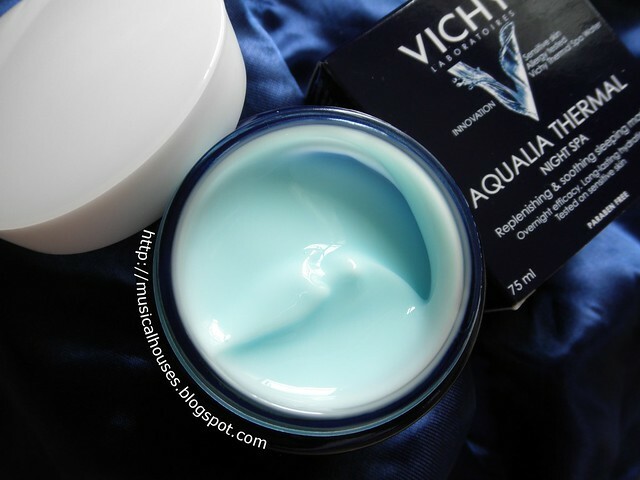 Its light texture also means that it works well under makeup, without much propensity to ball up or peel up, and I've found this to be the case for the other Vichy Aqualia Thermal products I've previously reviewed as well. So yes, if you are wondering whether you can use your Vichy Aqualia Thermal Sleeping Mask to do double duty during the day as well, feel free to go ahead! So, would I recommend this? I don't see why not. Although it may seem a bit basic to the subset of consumers who are looking for "exotic" ingredients like snail mucus or placenta (I didn't make these up, by the way, they are actual products I've seen), I'd say that what really recommends this mask is the fact that it is unlikely to irritate your skin, unless you happen to be sensitive to some of the fragrances or other minor ingredients. It also covers all the bases a sleeping mask/moisturizer should, with both humectant and emollient ingredients. And at SGD$48, it's not ridiculously overpriced either. If you're looking for a product with bells and whistles, then the marketing of the product may sound disappointing, because it doesn't claim to repair the skin's DNA or anything (also another real-life example, by the way), but all around, this is a solidly formulated nice go-to basic sleeping mask/moisturizer that does what it says it will. The Bottom Line: Vichy's Night Spa Sleeping Mask may be simply formulated, but is effective in moisturizing skin, and unlikely to trigger skin sensitivities. I would like to know what minerals and vitamins ( if any) are in this sleeping mask cream. If you could only use one, would you use the Rich Cream or the Night Spa? @Sarah: The formulation of both products is somewhat similar, with similar emollient and humectant functions to help moisturize the skin. So I think it would probably depend on your aesthetic preferences - whether you prefer a cream or a gel product. The Rich Cream would be better if you prefer a creamier formula, while the Night Spa is better for a lighter gel formula. Hope this helps!